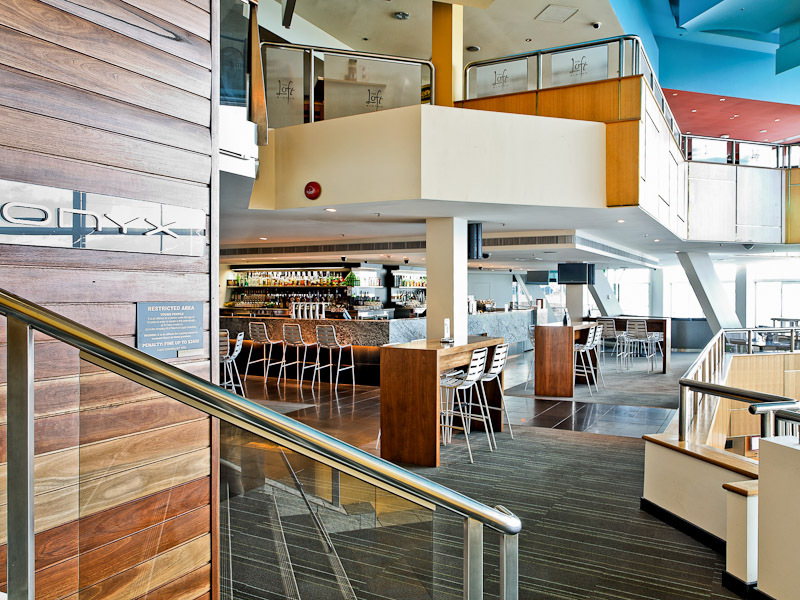 When it came time to refurbish the sports bar on the mezzanine floor of the Wrest Point Casino, Macquarie Builders were selected to undertake the works. The project had to be completed in time for important events which could not be delayed. The work involved a complete refit of the area and the relocation of the TOTE to allow the magnificent views to the river to be re-opened. The result is a very modern lounge and bar which features extensive use of timber and granite. This redevelopment and refurbishment project involved critical management of noise, particle pollution, existing services and public access.